Endodontics is the area of dentistry targeting treatment of infected or dead pulp inside the tooth. This also includes assessment and treatment of the nerves within the tooth. If the soft tissue inside the tooth becomes infected or is decaying, endodontic treatments such as a Root Canal and Root amputation may be necessary. If the nerve within one of your teeth becomes infected, root canal (endodontic) treatment can keep you from losing the tooth, while treating the infection before it causes major health complications. One way to treat the infection is to remove the tooth and disinfect the area. 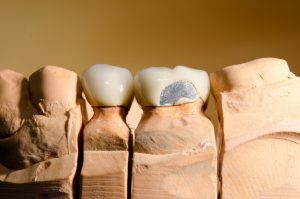 However, tooth loss creates a gap between surrounding teeth that often necessitates a dental implant or bridge. It is always preferable to save a tooth, if possible, through root canal treatment. A root canal should be no more uncomfortable than having a cavity filled, though the procedure is more complex. 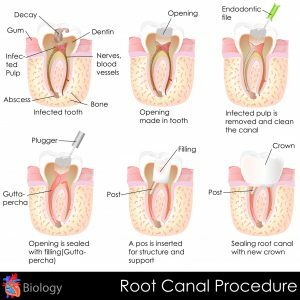 A root canal is the removal of infected or dead pulp (the inner nerves and blood vessels) from inside a tooth, and the subsequent filling and sealing of the resulting space.